Despite modern advances in infection control measures, respiratory viruses continue to impose a significant global healthcare challenge. 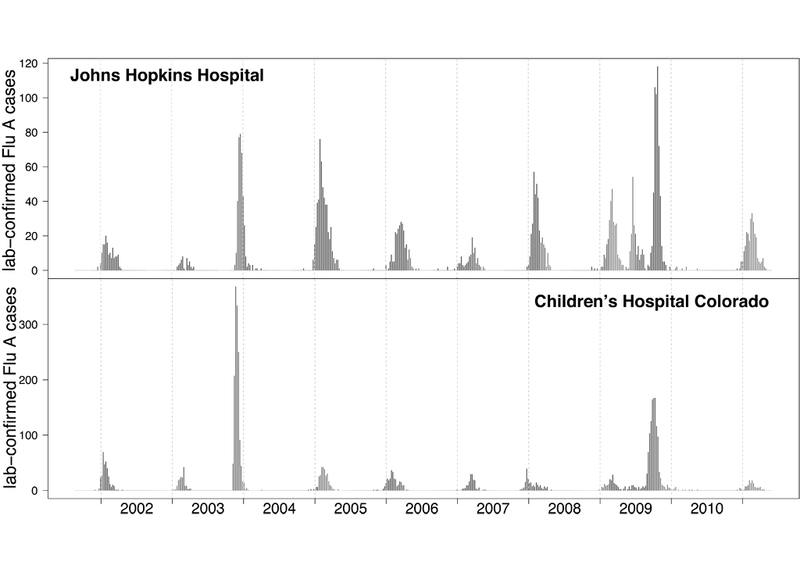 Triggers that signal early detection of influenza and RSV outbreaks are key to controlling their spread. 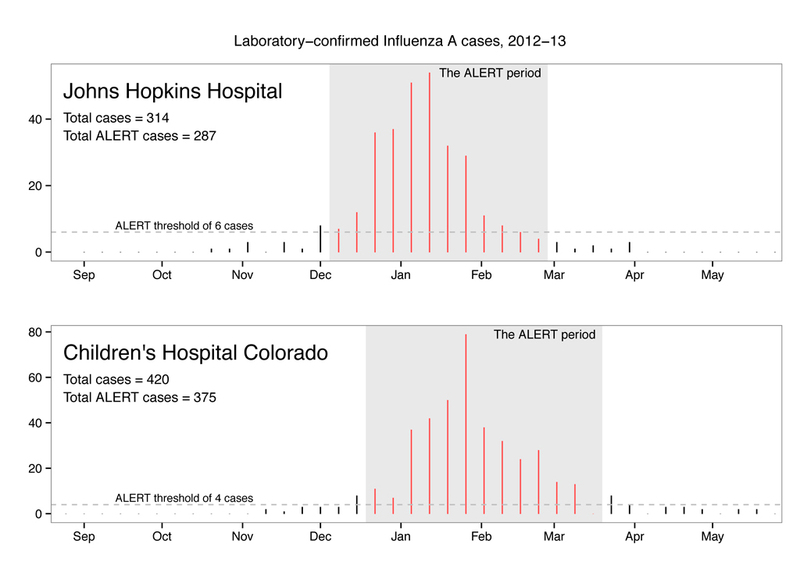 The Above Local Elevated Respiratory Illness Threshold (ALERT) algorithm was designed to detect seasonal influenza outbreaks. 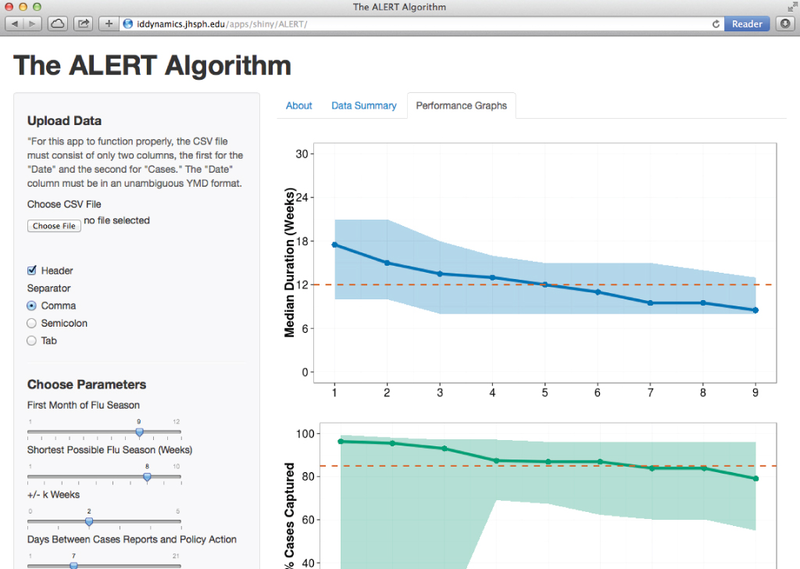 ALERT can be used directly by healthcare practitioners with no statistical training via a web applet. We are working to evaluate the performance of ALERT in a broader range of settings, including with datasets that have influenza A, influenza B, RSV, and combinations of respiratory pathogens (or influenza-like-illness). The ALERT algorithm was developed for use by the ResPECT Study.